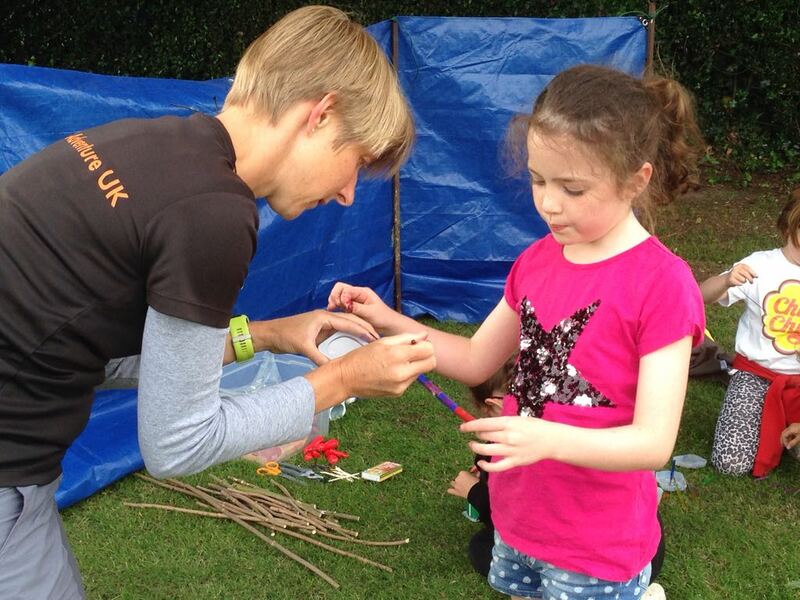 We were delighted to be invited to come and run a bushcraft afternoon for the Saxilby Brownies in Lincolnshire. Having set up, we were greeted by a joyful group of yellow and brown clad girls, swirling round the field full of chatter and laughter. Their enthusiasm continued throughout the afternoon as they all spent 45 minutes with each of us doing a different workshop. Dave led a lighting fire session, where they all had a go at using a fire-stick and with various materials lit a small fire from scratch. Meanwhile Andy was getting them to master some basic knife skills where they learned to take the bark off and make various cuts in the wood. 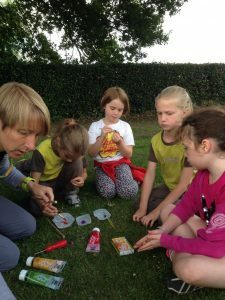 Emma was busy with her groups making necklaces and bracelets out of an elder stick and decorating them with acrylic paints. 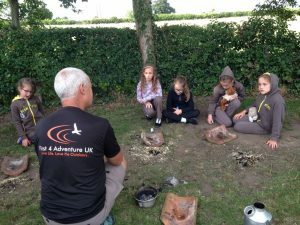 Finally, we all gathered together at the end round a big campfire to enjoy steaming cups of hot chocolate and toast marshmallows. 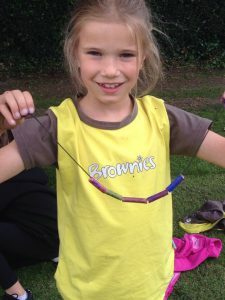 We had a great afternoon with the Brownies – so thank you for inviting us!